There is a pretty good tip here in this post but I really just used it as an excuse to post this clothesline picture. As people across the country freeze, I share with you my “d’oh! 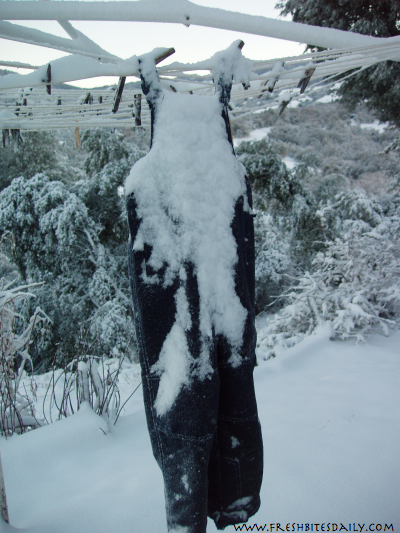 moment” when my son needed his snowsuit and I found it on the clothesline. This picture is all about timing. 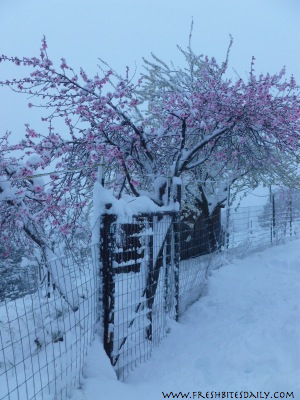 As for the snowy orchard tip, this is a good one for an early spring bloom where you are amazed at your orchard blossoms and then “Uh oh, it’s snowing.” At the risk of being overly obvious, this tip may save your summer fruit if you have strange spring temperatures. Remember this point even when you are tempted to just stay inside with your hot chocolate. 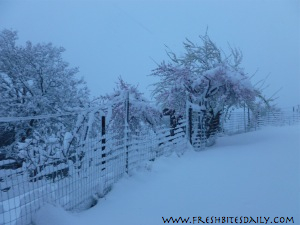 Once your fruit trees have blossomed, snow fall is just about the kiss of death for your summer crop. Your yield will be reduced by half or more, that is if your trees make it. The blossoms bear fruit and if they are destroyed in the snow (and many will be), they will not be able to turn into a peach or nectarine. The blossoms also make it possible for the tree branch itself to hold onto more snow, leaving more wet cold weight sitting on each of your tree limbs. 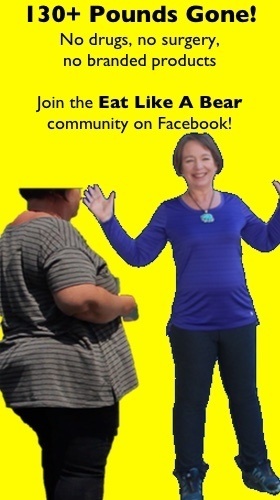 You may lose entire branches of your tree if they crack under the weight. We have had all of the branches break on younger trees in this situation. It is orchard Armageddon. Likewise, you may lose lilac bushes or any other early-blooming tree or shrub. After a heavy snow under these circumstances, I walk out first thing in the morning and shake off the snow to reduce the weight on the trees and shrubs. I use a broom or any device that is handy that will allow me to gently move the branches back and forth, causing the snow to fall.